Rarely does a home of this magnitude become available in Maplewood Village. 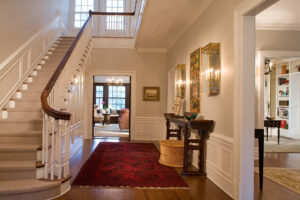 Resting on over half an acre of professionally landscaped property, 112 Maplewood Avenue is a Georgian Colonial built to the most exacting standards in a premier walk-to-town location. 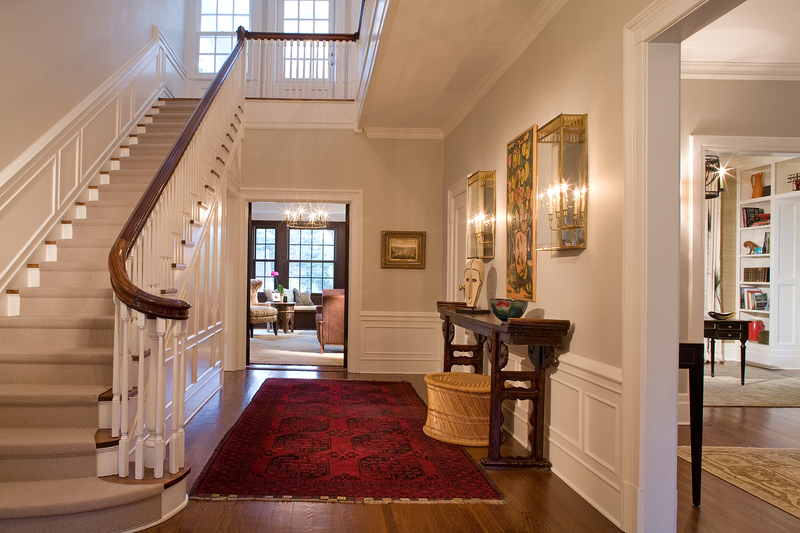 Enter the foyer with a dramatic staircase providing access to the second and third levels. The chic living room with wood-burning fireplace is ideal for formal entertaining and offers access to the elegant library with built-in shelving and the covered porch for easy outdoor entertaining. Across the foyer is the sunny and spacious formal dining room. 10’3” ceilings on the first level provide a sense of grandeur and space, while radiant heated floors offer comfort underfoot. Towards the rear of the home is the gourmet kitchen with stainless steel center island with bar seating, honed statuary marble counters, Shaw farmhouse sink, SubZero refrigerator, 5-burner cooktop and double wall ovens. The kitchen flows effortlessly into the spacious family room with coffered ceiling, perfect for casual get togethers and relaxation. Behind the kitchen is one of two first level powder rooms, mudroom and back door entry to the patio and yard. Six spacious bedrooms and three full bathrooms occupy the 2nd and 3rd levels. The luxurious master suite has a gas fireplace, private office, dressing room with windowed walk-in closet and ensuite bathroom with soaking tub and oversized shower. A sleeping porch off the upstairs landing is the perfect spot to relax at the end of the day. The spacious lower level has a large recreation room, powder room, laundry room, utility room and state-of-the-art home office. There is also amazing Bonus Space over the 2-Car garage, perfect for a home office, exercise room, art studio or yoga studio. The surrounding grounds offer expansive lawns, hidden gardens, a babbling brook, large blue stone patio and an oversized two-car garage. 112 Maplewood Avenue is one of Maplewood’s most substantial homes in an ideal location. The pleasure of owning such a property is truly immeasurable and offers a once in a lifetime opportunity.